USES: Ethacrynic acid is a "water pill" (diuretic) that increases the amount of urine you make. This helps your body get rid of extra water. 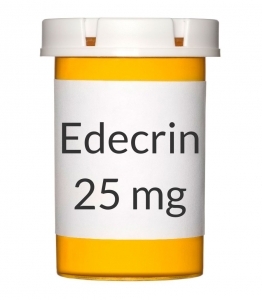 This medication decreases swelling/fluid retention (edema) caused by conditions such as cancer, congestive heart failure, liver disease, and kidney disease. This effect can help improve symptoms such as trouble breathing and swollen belly (ascites) and improve kidney function. This medication should not be used in infants. OTHER USES: This section contains uses of this drug that are not listed in the approved professional labeling for the drug but that may be prescribed by your health care professional. Use this drug for a condition that is listed in this section only if it has been so prescribed by your health care professional. This drug may be used to treat high blood pressure in people who are allergic to other "water pills"/diuretics. HOW TO USE: Take this medication by mouth, usually once or twice a day after a meal or as directed by your doctor. It is best to avoid taking this medication within 4 hours of your bedtime to avoid having to get up to urinate. Consult your doctor or pharmacist if you have questions about your dosing schedule. The dosage is based on your condition and response to therapy. Your doctor may start you on a low dose once a day and then gradually increase the dose. Your doctor will adjust your dose based on changes in your weight, how much swelling (edema) you have, and your lab test results (sodium, potassium, acid/base). Your doctor may stop the drug or lower the dose after most of the extra water is gone. Some people may take this medication every other day or occasionally when needed. Follow your doctor's directions carefully. Take this medication regularly in order to get the most benefit from it. To help you remember, take it at the same time(s) each day. Inform your doctor if your condition persists or worsens. SIDE EFFECTS: Dizziness, lightheadedness, headache, blurred vision, stomach upset, mild weakness/tiredness, or diarrhea may occur. This medication will cause an increase in the amount of urine. If any of these effects persist or worsen, tell your doctor or pharmacist promptly. Remember that your doctor has prescribed this medication because he or she has judged that the benefit to you is greater than the risk of side effects. Many people using this medication do not have serious side effects. This drug is a strong "water pill" (diuretic). Using too much of this drug can lead to serious water and mineral loss (dehydration). Tell your doctor immediately if you have any of these unlikely but serious symptoms of dehydration: loss of appetite, confusion, severe dizziness/fainting, unusual dry mouth/thirst, severe headache, fast/irregular heartbeat, muscle cramps/spasms, nausea/vomiting, numbness/tingling, seizure, decrease in amount of urine, unusual weakness/tiredness. Tell your doctor immediately if any of these rare but very serious side effects occur: easy bleeding/bruising, black/bloody stools, severe watery diarrhea, signs of infection (e.g., fever, persistent sore throat), ringing in the ear, feeling of spinning (vertigo), hearing loss, mental/mood changes (e.g., extreme sleepiness), pain/redness/new swelling of arms/legs, stomach/abdominal pain, large change in the amount of urine, dark urine, vomit that looks like coffee grounds, yellowing eyes/skin. Seek immediate medical attention if any of these rare but very serious side effects occur: chest pain, weakness on one side of the body, slurred speech, vision changes. A very serious allergic reaction to this drug is rare. However, seek immediate medical attention if you notice any symptoms of a serious allergic reaction, including: rash, itching/swelling (especially of the face/tongue/throat), severe dizziness, trouble breathing. This is not a complete list of possible side effects. If you notice other effects not listed above, contact your doctor or pharmacist. In the US - Call your doctor for medical advice about side effects. You may report side effects to FDA at 1-800-FDA-1088. In Canada - Call your doctor for medical advice about side effects. You may report side effects to Health Canada at 1-866-234-2345. PRECAUTIONS: Before taking ethacrynic acid, tell your doctor or pharmacist if you are allergic to it; or if you have any other allergies. This product may contain inactive ingredients, which can cause allergic reactions or other problems. Talk to your pharmacist for more details. This medication should not be used if you have certain medical conditions. Before using this medicine, consult your doctor or pharmacist if you have: severe watery diarrhea, very low blood pressure, severe kidney disease (making little or no urine), severe loss of water or minerals (e.g., dehydration, low potassium/sodium). Before using this medication, tell your doctor or pharmacist your medical history, especially of: blood clots (e.g., in the lungs, legs), diabetes, gout, kidney disease, liver disease (especially with cirrhosis or encephalopathy), peptic ulcer disease, stroke. This drug may make you dizzy or drowsy. Do not drive, use machinery, or do any activity that requires alertness until you are sure you can perform such activities safely. Avoid alcoholic beverages. To reduce the risk of dizziness and lightheadedness, get up slowly when rising from a sitting or lying position. This drug can lower potassium/sodium levels in your blood. Your doctor may order you to increase your salt intake or eat foods high in potassium. Carefully follow the diet prescribed by your doctor. Do not change your salt intake without talking with your doctor first. A potassium supplement may be prescribed by your doctor. Before having surgery, tell your doctor or dentist that you are taking this medication. If you have diabetes, this medication may make it more difficult to control your blood sugar levels. Check your blood sugar regularly as directed by your doctor. Inform your doctor of the results. Kidney function declines as you grow older. This medication is removed by the kidneys. Therefore, elderly people may be at greater risk for side effects while using this drug, especially dehydration. During pregnancy, this medication should be used only when clearly needed. Discuss the risks and benefits with your doctor. It is unknown if this drug passes into breast milk. Consult your doctor before breast-feeding. DRUG INTERACTIONS: Your doctor or pharmacist may already be aware of any possible drug interactions and may be monitoring you for them. Do not start, stop, or change the dosage of any medicine before checking with your doctor or pharmacist first. This drug should not be used with the following medications because a very serious interaction may occur: cisapride, furosemide. If you are currently using any of the medications listed above, tell your doctor or pharmacist before starting ethacrynic acid. Before using this medication, tell your doctor or pharmacist of all prescription and nonprescription/herbal products you may use, especially of: digoxin, ginseng, high blood pressure medications, lithium, drugs for gout (uricosurics such as probenecid, sulfinpyrazone), warfarin. Check the labels on all your medicines (such as cough-and-cold products, diet aids, or NSAIDs such as ibuprofen, naproxen) because they may contain ingredients that could increase your blood pressure or worsen your heart failure. Ask your pharmacist for more details. This document does not contain all possible interactions. Therefore, before using this product, tell your doctor or pharmacist of all the products you use. Keep a list of all your medications with you, and share the list with your doctor and pharmacist. NOTES: Do not share this medication with others. Laboratory and/or medical tests (e.g., complete blood count, blood minerals/carbon dioxide levels, kidney tests) should be performed periodically to monitor your progress or check for side effects. Consult your doctor for more details.